If you have couch I’m sure we don’t have to tell you what a little bugger it can be. It gets into everything. Is really hard to dig out. And just when you thought it was gone, it comes back – again and again. 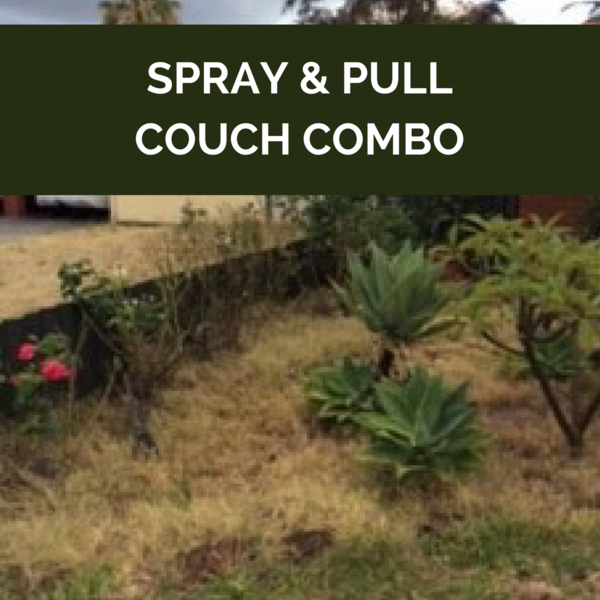 Unfortunately there’s no easy fix to couch, but after many years of experience we know that spraying the weed with an industrial spray and then pulling out its roots is the most effective solution. Which is why we’ve introduced a ‘Spray & Pull Couch Combo’! With this heat, couch grass is growing like crazy at the moment. In the grass, garden beds – even the pavers. So February and March are the perfect months for us to send our contractors in to chemically spray the area with a commercial grade herbicide. We’ll then return six weeks later or once it’s dead to remove it completely from the garden. Safe for kids, dogs and plants, prices start at $185 for a verge, front yard, one section or paved area and $249 for all areas front and back.